I have always had an interest in anatomy, the human body and the potential of human movement. Over the years, the desire to learn more about this has grown and become something I love and am very passionate about. I am now fortunate enough for it to be my field of work. I am fascinated by how the body functions, how it moves and how we live in our body. I was introduced to yoga over 42 years ago and this eventually led to training to become a yoga teacher with the BWY. Practicing and teaching yoga over the years has given many opportunities for deeper learning, enquiry and research. However I always felt that there was something more I wanted to explore on another level that was deep and rich. 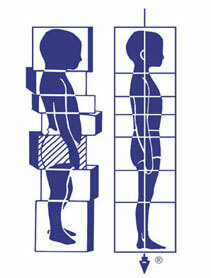 My personal experience of the Rolfing “Ten” series was very profound and life changing. It gave rise to much exploration and enquiry about my body on a physical, mental and emotional level and it was during this time I decided I would like to train to become a Rolfer™. 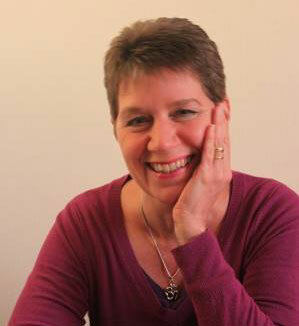 I trained with the European Rolfing Association in Munich and then continued with the Rolf Movement Training. I have also trained as an Advanced Rolfer™ which has deepened and enriched my knowledge and skills. Rolfing® structural integration was the work I felt I had been searching for over many years and it continues to be a richly rewarding journey. It has opened many doors of possibilities, given a new dimension of experience and embodiment to enable deeper explorations of movement and body awareness and has given me a whole new outlook and perspective on life. It has allowed me to find a much deeper connection with myself and also with my body’s inner intelligence. My enthusiasm continues to grow and I feel privileged to be able to accompany and help people on their journey of discovery. I am very enthusiastic, committed to my work and continue to deepen my knowledge with further training, study, research and exploration. I travel extensively so that I am able to work with very knowledgeable teachers and expand my horizons, which enables me to gain a wealth of experience from the long standing, highly respected teachers of the Rolfing community.